Christmas is filled with traditions whose repetition year after year provide a sense of continuity and joy, as we remember favorite moments from childhood and anticipate adding new memories to that book of mental treasures. Since many of our traditions date from the Victorian period, I wanted to offer an array of historical fiction from that era as a special Christmas tribute. However, as I began to scan the real and digital shelves, I found that, thanks perhaps to Sir Arthur Conan-Doyle, most historical fiction set in the Victorian era contains a mystery. Once a romance reaches its HEA, the story is over�which means, alas, that series in romance generally feature friends or other family members. Heroes and heroines of mysteries, however, can always go on to solve the next case. Since there is nothing a fanatical reader loves more than being able to remain in a favorite fictional world, as a Tiny-Tim �bless us, every one,� I�ve chosen several of the longest-running of the top-reader-rated historical mystery series to offer as a special Christmas gift. Happy Holidays, and enjoy! When wealthy Viscount Phillip Ashton, the man her mother pushed her to marry, dies on safari not long after the wedding, Emily Bromly enters the requisite Victorian mourning period for the man she barely knew. 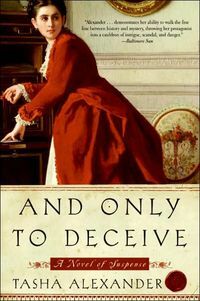 But as she uses the time to explore the world of Greek literature and antiquities that was her husband�s obsession, studying the pieces her husband donated to the British Museum�and reading the journals where he confesses his love for her�Emily finds herself becoming more and more intrigued by her lost spouse. Friendship with the imperious grand dame Cecile du Lac adds more interest to the mix, as do the attentions of Phillip�s friends Colin and Andrew. But as Emily delves deeper into the past, there are disturbing clues that Phillip may have been involved in art theft and forgery, his friends may have a part in it�and he might not be dead, after all. Cleverly-plotted mysteries and biting wit set against a well-drafted historical background make this series a reader favorite. 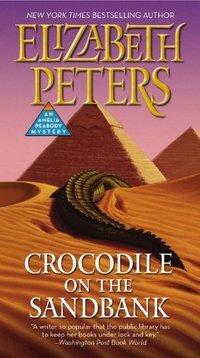 First introduced in this delightfully long series of cozy mysteries, Victorian spinster Amelia Peabody receives a generous bequest that allows her to fulfill the dream of traveling to Egypt. Stopping first in Rome, she encounters Evelyn Barton-Forbes, who has been ruined and abandoned by her lover. Amelia sweeps Evelyn with her to Egypt, where they link up with Radcliffe and Walter Emerson. Walter falls for the demure Evelyn, while Amelia and Radcliffe wrestle for leadership as they explore archeological sites. Along the way, attempts to kidnap or injure Evelyn set the merry mystery in motion. Full of sharp dialogue and historical detail, the series will delight lovers of historical fiction and romance. 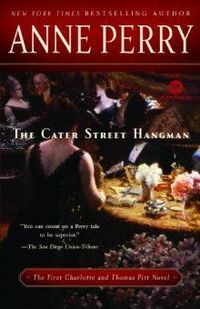 The rigid Victorian world of Charlotte Ellison�s wealthy family is thrown into chaos when a maid is murdered by the Cater Street Hangman, who strangles women with wire and leaves their bodies in the street. Enter Thomas Pitt, the policeman of low birth but upper class education assigned to break the case. Initially, these representatives of two different classes form an instant dislike. But slowly, as they piece together clues and work toward solving the crime, these two misfits--the outspoken, unconventional Charlotte, who is the despair of a mother trying to make her into a proper Victorian miss, and the intelligent, determined policeman who has been brought up in a higher sphere than his birth allows him to rise�find dislike turning to grudging respect, to admiration, and to love. 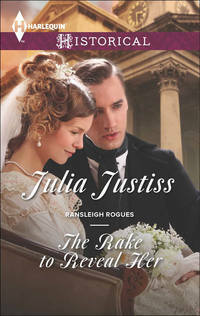 First in a long series famed for its wonderfully historic rendering of Victorian Society, its hairpin-twist-and-turn mystery, and its heartwarming love story, the series should enchant readers who love all three. Is your TBR pile (or number of pages filled on your Kindle) now exploding? Very good, you may leave a thank-you note on this post, and happy reading well into the New Year! After twelve years as a vagabond Navy wife, an adventure that took her from Virginia Beach, VA, to Monterrey, CA, to Tunis, Tunisia to Oslo, Norway and back, Julia Justiss followed her husband to his family's East Texas homeland. On a hill above a pond with a view of pasture land, they built an English Georgian-style home. Sitting at her desk there, if she ignores the summer heat, she can almost imagine herself in Jane Austen's Regency England. In between teaching high school French and making jaunts to visit her three children (a Seabee in Gulfport, MS, a clothing buyer in Houston and a mechanical engineer in Austin, TX) she pursues her first love�writing historical fiction. and their dogs, so it should be fun and hectic. Hope yours will be as well!